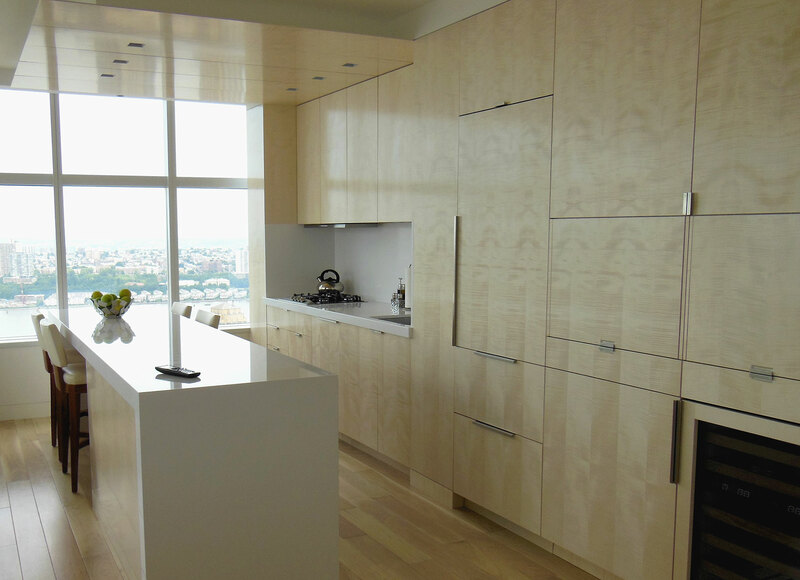 > Private Residence at 45 East 22nd Street, NY, NY 10010 Custom designed millwork in two floors unit. > Private Residence at 1045 Park Avenue, NY, NY 10028 Entire custom designed millwork in two combined units. > Private Residence at 200 East 62nd Street, NY NY 10065 Custom designed millwork in two combined units. > Private Residence at Glen Head, NY 11545 Select fine furniture. 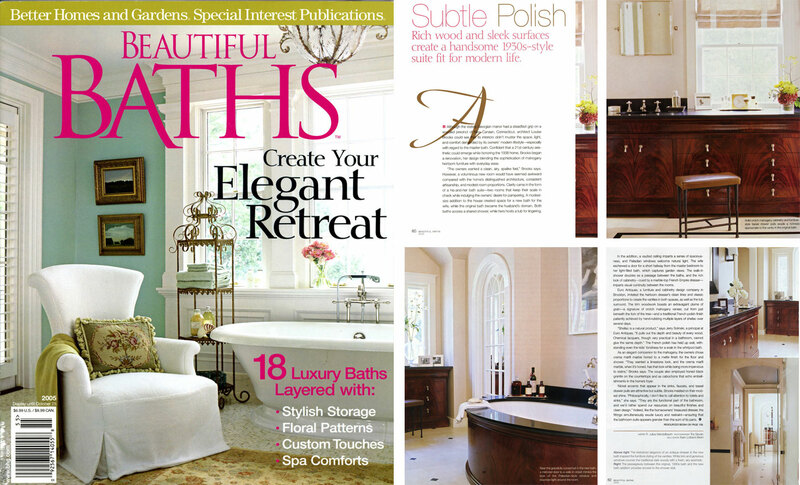 > Private Residence in Atherton, CA 94027 Custom designed select fine furniture. > Private Residence in Kuwait City - Safat, Kuwait Select fine custom designed furniture. "Euro Custom Woodworking Inc. , a furniture and cabinetry design company in Brooklyn, imitate the heirloom dresser's clean lines and classic proportions to create the vanities in both spaces, as well as the tub surround. The trim woodwork boasts an extravagant plume of grain-a signature of crotch mahogany veneer, cut from just beneath the fork of the tree-and a traditional French polish finish patiently achieved by hand-rubbing multiple layers of shellac over several days ... "
© 2017 EURO CUSTOM WOODWORKING, INC.